The practice of dentistry has been in existence for thousands of years, and fortunately the treatments available have continued to evolve with advances in knowledge and technology. We have fully embraced these changes and we try to utilize the latest in dental treatments and technology whenever we can. While this list is not a comprehensive list of all of our technology, these are some of our favorites. The use of x-rays in dentistry has been around for a long time. While the original x-rays utilized excessive amounts of radiation to get images that were of poor quality, advances in science have resulted in a great reduction in the amount of radiation needed to get very high quality images. 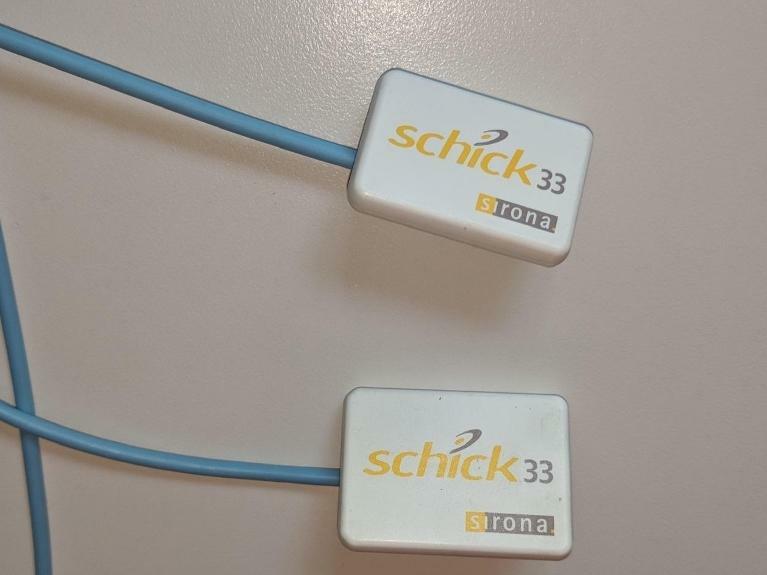 We have moved away from traditional film based x-rays as we use the Schick 33 intraoral digital x-ray sensors. These sensors have quite a few benefits over film based x-rays. A reduction of 50-90% of the radiation needed to take images compared to film based options, which has made the use of x-rays in dentistry much safer than it has ever been. The ability to digitally manipulate images to improve diagnostic quality when needed. The ability to magnify and display images on a computer or television screen. Instant images that require no processing with hazardous chemicals that may be harmful to the environment. The ability to digitally store and send x-ray images to insurance companies or specialists when needed. Sometimes we want to get a “bigger picture” type of x-ray that shows more of the bones and joints in the head. 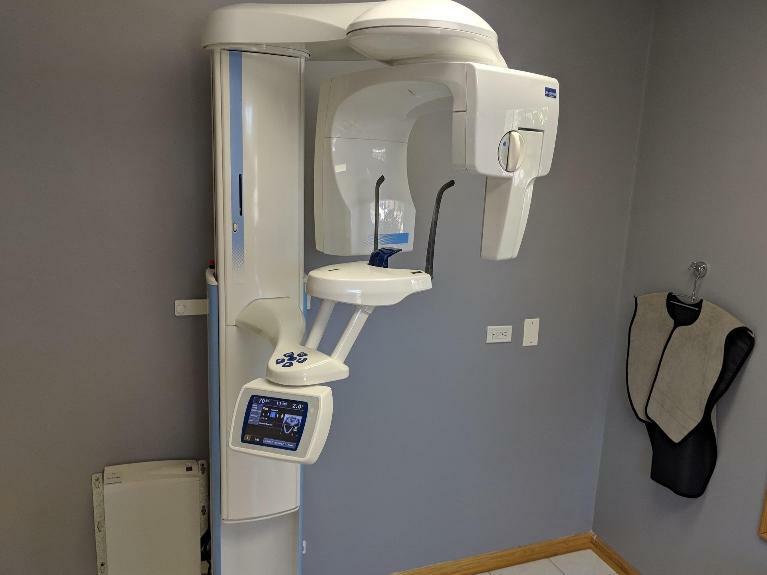 Just like the intraoral xrays discussed already, the technological advances have also improved image quality and reduced radiation dosages for this type of x-ray system. We use the Planmeca ProMax panoramic x-ray machine in our office. It has the same advantages over film systems that the intraoral x-rays do, but it also has some other advantages. The ability to take extraoral “bite wing” xrays. For patients that have bad gag reflexes or small mouths, sometimes it is impossible to get conventional x-rays. Our software can take a bite wing style image without sensors having to be placed in the mouth. It is not as good as the images taken in the mouth, but it is still gives us an image that is usable and much better than having no image to work from. The ability to look at structures in the head and neck that are not visible by films taken by sensors in the mouth. And everyone’s favorite is the comfort of taking panoramic x-rays. There is no gagging, no uncomfortable rubbing in the mouth, and it only takes 17 seconds on average. We use the QuickCam Duo to take close up pictures of your teeth. This camera has the highest resolution available in an intraoral dental camera. 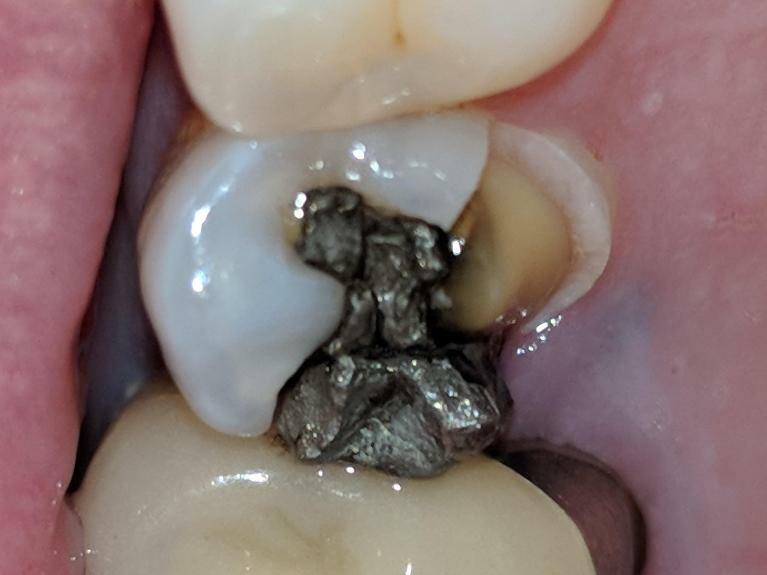 We take photos to show you what your teeth look like so you can fully understand what your needs are and make educated decisions on what should be done. The images are also stored in our software so we can look at them in the future whenever needed, as well as forward them to specialists or insurance companies when needed. Of all of our technologies, this is probably our most beneficial because it is the best educational tool we have. On a tv right in front of you , it allows us to show you a photo of exactly what we see as we are diagnosing and treating you. Lasers have been revolutionary in almost every industry. Dentistry is no different. We. Use the Zap diode laser in our office to improve our patient’s experience as well as to achieve more optimal results in our treatments. 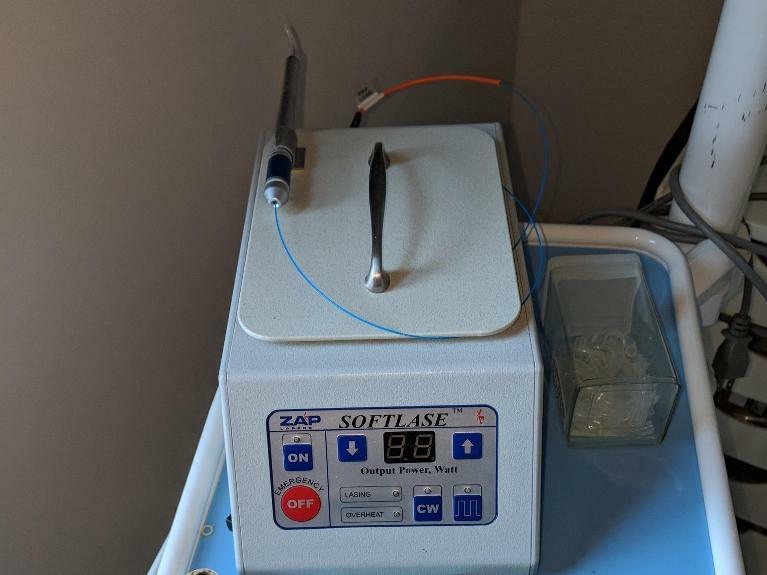 Diode lasers are used in dentistry to help sculpt gum tissues without bleeding, control bleeding in some procedures, sterilize tissues with laser energy, desensitize some irritations and promote healing, and many more uses. Sometimes we want to educate you about your conditions or a treatment option available. We use some models that you can see and hold, but we also utilize technology to help us educate you as well. We have several dental iPad apps that will help educate you, as well as websites that we can pull up and show you either on the iPad or on the TV screen in front of you. Again, education is a big part of our philosophy, and video or photo presentations are exceptionally useful to educate our patients.